Are you about to launch a new careers website? It’s a hugely satisfying moment when a new careers website goes live. But it doesn’t happen overnight. Oh no. There’s a lot of work to get to the really fun part of seeing it all shiny and new on the interweb. But, for us at That Little Agency – it’s what we do. So, we thought we’d share some tips. We’d call it our ‘little checklist’ – but it’s not so little. 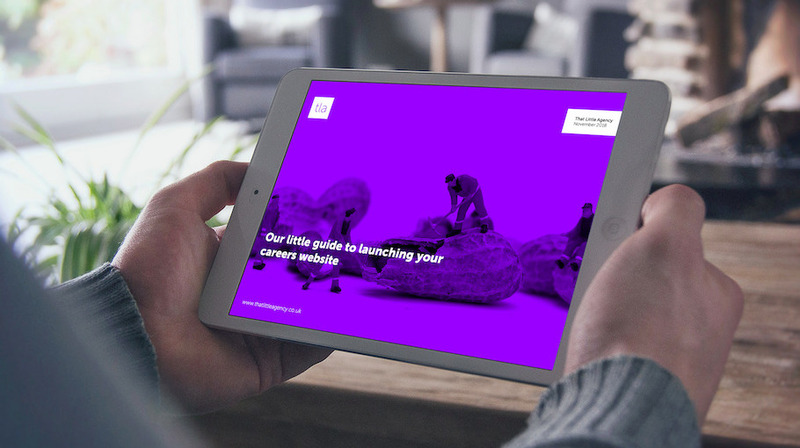 Complete this short form and you’ll be able to download a copy of our ‘Our little guide to launching your careers website’ ebook. We think that you’ll find it really very interesting.